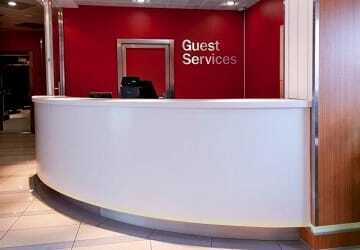 Fully refurbished in 2012, The Stena Mersey offers a range of facilities to make your journey relaxing and comfortable. 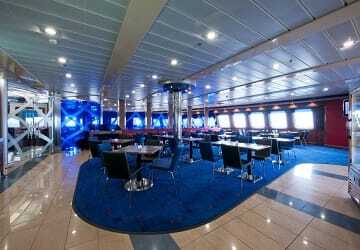 In addition to a choice of comfortable lounge areas you'll find a coffee area, a restaurant, cinema, children’s play area an onboard shop, a selection of cabin accommodation, Pod area with IMacs, en-suite cabins, shops, free Wi-Fi and more! 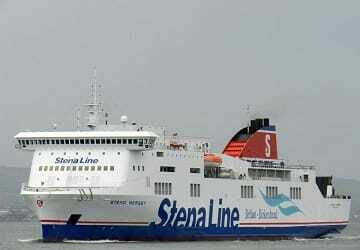 The Stena Mersey features comfortable 4 berth en-suite cabins in a choice of inside and sea view (outside). 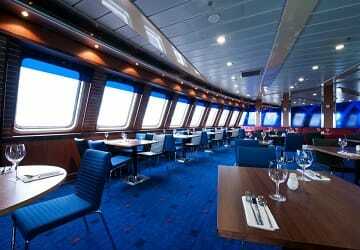 In the Metropolitan bar and grill there is a full menu available on both day and evening sailings. Vegetarian options and kids meals are also available. The Barista Coffee House offers a variety of coffees, speciality teas and tasty hot or cold snacks. 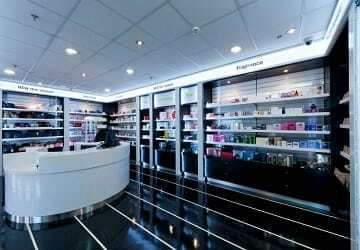 A wide selection of goods are available in the onboard shop from perfume and jewellery to souvenirs and confectionary. 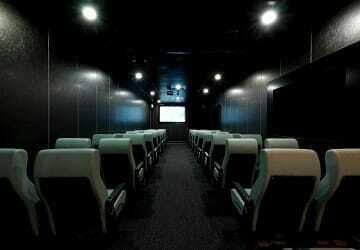 There is a cinema onboard the Stena Mersey offering you entertainment all the way! You can also get online while at sea either in the Pod lounge using the IMacs provided or via the free Wi-Fi using your own device. Young passengers will be spoilt for choice in the Stena Mersey children’s play area (for children under the age of 10) complete with numbered block games, mouse hole maze, slung net bridge, crazy mirrors and a squeezer chicane. 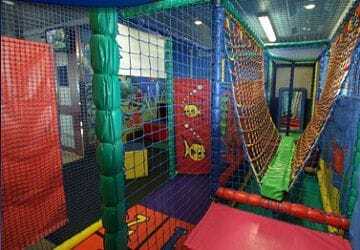 The children's play area is always open however, children must be supervised by an adult. Please Note: Whilst we have taken great care in making our Stena Mersey guide as accurate as possible, onboard facilities, services and entertainment may vary depending on the date and time of year that you travel, facilities mentioned may change without notification and ferry companies reserve the right to operate vessels other than those mentioned at time of booking without prior notification. Polite and friendly crew. Decent price point, even without cabin. 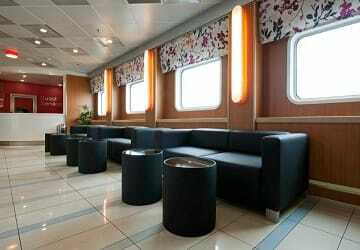 We had a seat in the Stena plus lounge and found it very comfortable. The stewards were very attentive and helpful, this made for a pleasant journey. "Very pleased with the service and the staff are very helpful "
Very good service, staff are very helpful because the sailing was longer than usual we were giving a free cabin without asking a £10 voucher and 50% off our next booking..
My wife and I went over to Liverpool from Belfast to pick up some of our sons belongings as he is moving back to NI. We were very happy with the friendliness of the crew, the standard of food and the sleeping accommodation - it was the same on the way back - from the time we got on the ferry we were able to relax and enjoy the experience. We rarely travel by Ferry now, usually choosing to fly to where we want to holiday - but this has made us think again - we certainly would look forward to travelling with you in the future. I sent my mega independent 17 year old daughter back to equestrian school, with a beat up mini, having passed her driving test 3 days before taking it on your ferry. Needless to say I was panicking about how she would manage on off ferry etc but your staff were superb, and cared for her, accommodating her all the way. I paid for lounge area to allow her to sleep and she said that food, sofa, blanket etc were lovely. Brilliant journey thanks to your staff. Well done 5 star all the way. We're going to come over in ferry next time to visit her instead of flying as easy jet such a hassle now. Btw Sarah has just got into Irish junior dressage team so keep an eye out, hopefully the small town girl will make it big soon. Thank you again for caring for her. "travel from Belfast to Southampton." As I cannot fly it was my only way to catch cruise ship.